Idemo, combat deployment, slikani na tankanju u Spaniji, verovatna destinacija Katar. Hill F-35As on their way for their first combat deployment! 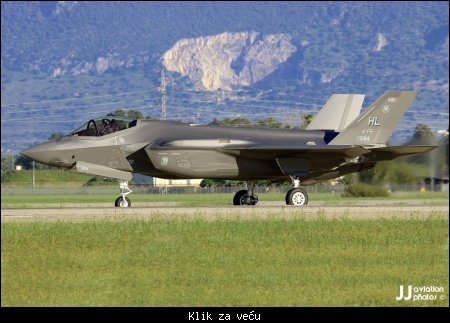 Six F-35A Lightning IIs arrived in the afternoon at Sevilla/Morón air base (Spain) on 12 April 2019. As reported in November 2018 on Scramble Facebook News (SFN), the two Fighter Wings, based at Hill AFB (UT), were preparing themselves for future operations with their F-35As in a deployed environment. The Wing’s 4th Fighter Squadron Fightin' Fuujins ('HL') and the 4th Aircraft Maintenance Unit focused late 2018 on combat operations and tactical scenarios involving aircraft battle damage, downed-pilot recovery and fighting in an environment with limited or no communications. The airmen ran at that time their training operations out of a secure, deployable facility that houses mission planning, debrief, intelligence, and the Autonomic Logistics Information System (ALIS) the F-35′s next-generation software system designed to detail maintenance issues on the jet. With the November 2018 Elephant Walk at Hill, the USAF reported that the active duty 388th Fighter Wing and the Air Force Reserve 419th Fighter Wing - the US Air Force’s only combat-ready F-35A units - were prepared to launch any number of aircraft to support the national defence mission as well as abroad at a moment’s notice. It now looks that the Lightning IIs are on their way to the very first F-35A combat deployment to the Middle East. The aircraft will most probably continue their journey to Al Udeid air base (Qatar) in support of the ongoing Operation Inherent Resolve (OIR). Значи остали Ф-35А ипак лете пуном паром. Само Јапански не. 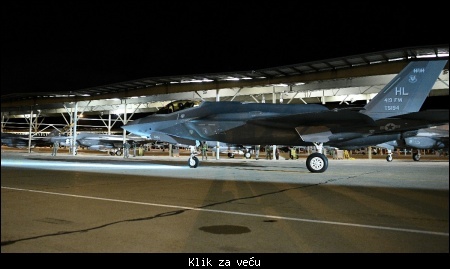 A evo zašto su F-35 na vrat na nos poslati na Bliski istok na "borbenu misiju"
Citat:F-35A pilots, maintainers, and support personnel from the Air Force Reserve 419th Fighter Wing and active duty 388th Fighter Wing deployed to Al Dhafra Air Base in the United Arab Emirates last week – the first Middle East deployment for the U.S. Air Force’s F-35A Lightning II. 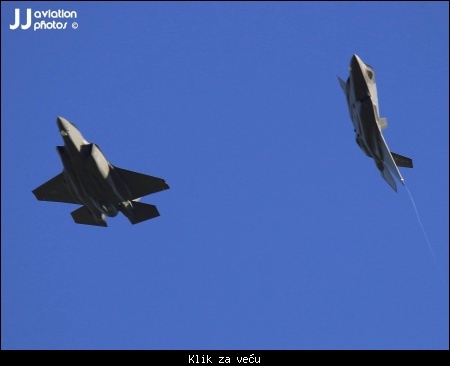 Citat:The very last American built F-35A Lightning II for the Koninklijke Luchtmacht (KLu, Royal Netherlands Air Force) made its first flight on 15 April 2019. Construction number AN-08 took of from its birth ground Fort Worth (TX). All KLu Lightnings from F-009 onwards will be built at Final Assembly and Check Out (FACO) at Cameri (Italy). F-008 will be delivered to Luke AFB (AZ), where it will be used for training. Odmah su pocele teorije zavjera da ce Al Dhafra da im bude glavna baza u slucaju rata sa Iranom ..
Raptor1 ::Odmah su pocele teorije zavjera da ce Al Dhafra da im bude glavna baza u slucaju rata sa Iranom ..
ovo je obicno vozikanje radi marketinga..
U slucaju rata a ne rat, procitaj opet sta sam napisao, tj ukoliko Amerika odluci da napadne Iran pojavile se teorije da bi vjerovatno Al Dhafra bila glavna baza za to. Poenta mog komentara je na bazu a ne na kolicinu aviona koji se nalaze tamo.